Wanda Shum is only inspired to create one or two polymer-covered teapots a year. This year’s Space Girls theme was prompted by the Jetson-like shape of the pot. The best view of the rest of her line of jewelry and accessories is found on her Facebook page (it’s public). If you click on these images, you’ll see the smooth, flawless finish on Wanda’s intricate collage of canes and textures. She provides inspiration to rocket us into a new week. 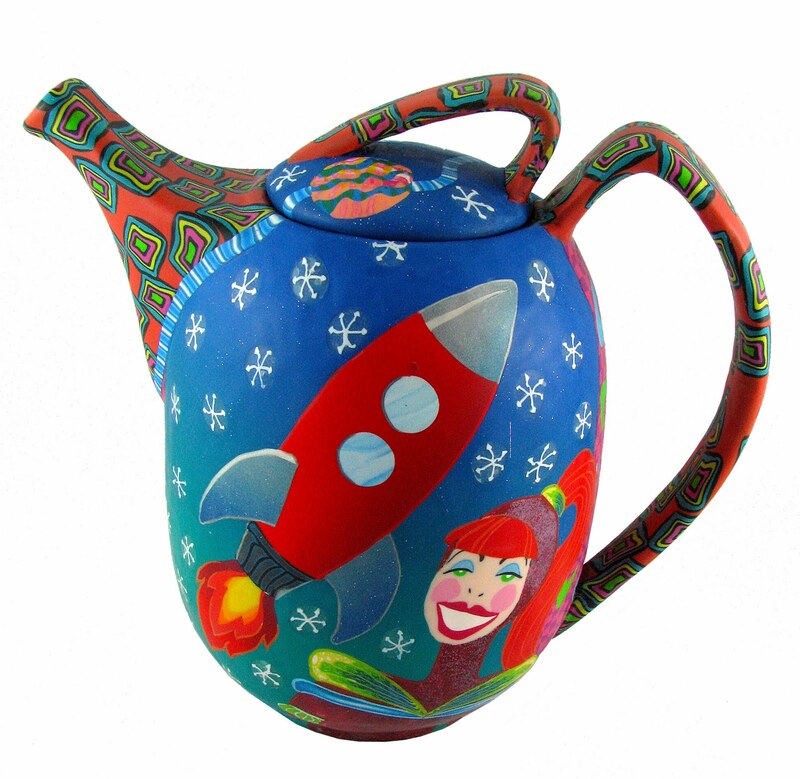 Wanda’s teapots have always been a big inspiration to me. Her work is terrific. I just wish I knew where she found those incredible teapot forms. Yum!! What a delicious eye-candy! A nice way to start the week! Thanks for the post, Cynthia! I really love working on this one. Melanie, my eyes are always on the look out for unique shaped teapots. Kudos on yet another masterful teapot Wanda! Can’t wait to see the next one! 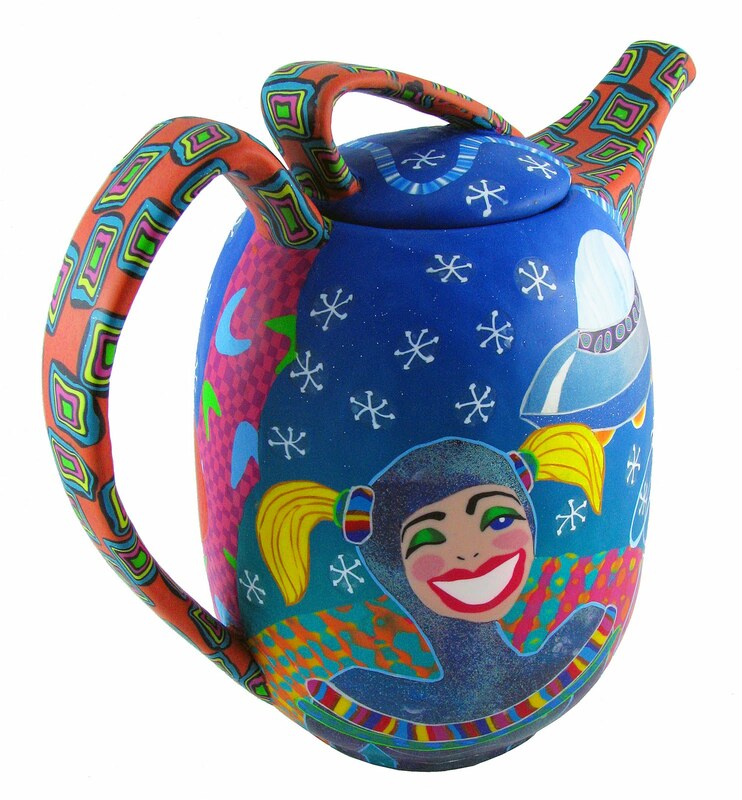 Fantastic to see your new teapots, Wanda! Love those cheeky space chicks! These are so wonderful. Love their charm, not to mention the fabulous shapes. Cynthia, I like your new hear cut.